It’s been confirmed: I’m going to ALA Midwinter in January!! 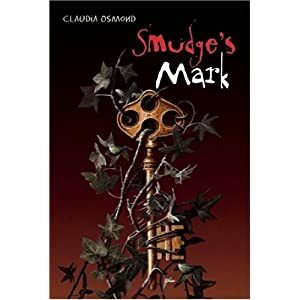 For those of you who don’t know what that means, it means I’ll be signing and giving away a few hundred advanced reading copies of SMUDGE’S MARK at the American Library Association’s Midwinter Conference in Boston, MA! I’ll be there for two nights and I’ll be doing two signings. And this is perfect timing since Smudge’s US launch is coming up this spring! For me, this is a huge event! I don’t even know where to begin preparing for it! I’m so excited! My inner giddy little girl is clapping and dancing and skipping all over her grown-woman-defined behavioral boundaries. One of the best things about going to ALA is that I’ll finally be able to meet my awesome editor! It’s a strange thing, this publishing biz, that you can work so closely and personally with someone for literal YEARS and never have the chance to meet them. And now I finally will! I’ll also have the chance to meet and hang out with a bunch of authors, editors, agents, librarians, publicists, and other bookish peeps at the “ALA Tweetup” – an informal meeting that’s been organized, via Twitter, by Deborah Sloan and Mitali Perkins; a couple of amazing kids’ lit women. I can hardly stand the anticipation! So here’s to you, Smudge! Happy New Year!